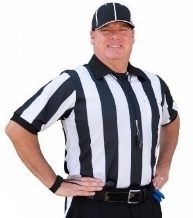 Metallurgical Evaluation from a Referee Standpoint by Lloyd C. Meissner, P.E. Gun manufacturers take great pride in not just the functionality of a gun, but also, the aesthetics of it. Some firearms are designed to have a mirror finish on their zinc die cast hardware. This hardware is polished to a high luster and then copper/nickel plated for corrosion protection and beauty. 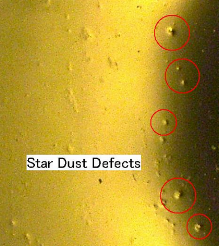 Recently, I was called by a firearms manufacturer who found a number of very small visual defects – nicknamed “stardust” – on random lots of material. These defects were typically less than 0.003” diameter (smaller than the diameter of a human hair) but still detracted from the shininess of the firearm. The manufacturer was losing money as the hardware was being rejected by the quality control department because of this problem. The die casting shop (who does the polishing) blamed the plating shop. The plating shop blamed the die caster. The manufacturer called me in to referee and identify the root cause of the defects (i.e. who was at fault). The CT scans identified the root cause as being in the plated layer, not from any die cast material defects. The plating was actually two layers with nickel over a copper plating base layer. While the nickel plated top layer was acceptable, SEM/EDS identified aluminum oxide particles trapped in the plated copper base layer which caused the stardust defect appearance of the hardware. To solve this problem the plating shop filtered the copper plating bath and the parts were then produced with the beautiful shine that was intended. In this case the flag of poor workmanship was thrown at the feet of the plating supplier. Live Burn By Scott E. Dillon, P.E.